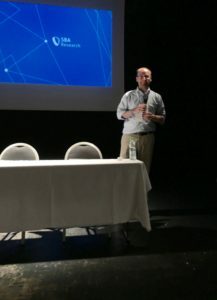 Edgar Weippl gave a presentation on how to engage students in information security research and explained some of the current research challenges. Casting one’s ballot is not just a right but a duty; one might argue that privacy protection requires a similar approach. Edgar Weippl in an interview with Factor. The ERCIM News No. 107 has just been published at with a special theme “Machine Learning” (The issue is available in PDF here). 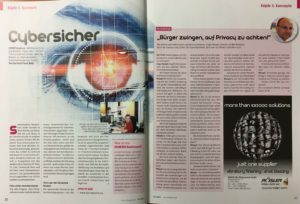 SBA Research contributed the article “Privacy Aware Machine Learning and the Right to be Forgotten” by Bernd Malle, Peter Kieseberg, Sebastian Schrittwieser, and Andreas Holzinger. Edgar Weippl explained why applied security research is important to solve today’s and future problems; Jan Camenisch (IBM Research) showed some of his fundamental work that later lead to his Advanced ERC Grant and Dirk Helbing (ETH Zurich) picked up on the topic of New Enlightenment and emphasized that we all need to work hard to keep the freedoms we take for granted. 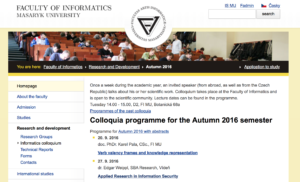 Today is the first day of the 21th European Symposium on Research in Computer Security (ESORICS 2016). 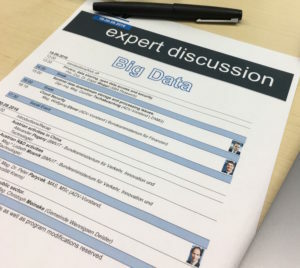 Two of our researchers, Stefan Brunthaler and Johanna Ullrich, are attending; Johanna is presenting her paper on attacks exploiting Xen rate limits tomorrow. ESORICS 2016 takes place from 28-30 September 2016 in Heraklion, Crete, and is A-ranked according to the CORE ranking. As part of the colloquia programme Edgar Weippl gave a presentation on research methods for applied computer scecurity students. 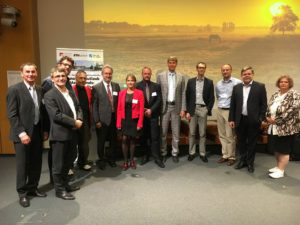 Last Friday our researcher Peter Kieseberg presented our work in the area of “Testing Algorithms in Sensitive Data Driven Research” and related security issues on the 14th installment of the “Anwenderkonferenz Softwarequalität, Test und Innovation” (ASQT 2016) at the Alpen-Adria-Universität Klagenfurt (University Klagenfurt). ADV organized an expert discussion on Big Data and Data Analytics jointly with the researchers from China. Edgar Weippl presented current and upcoming security and privacy challenges.